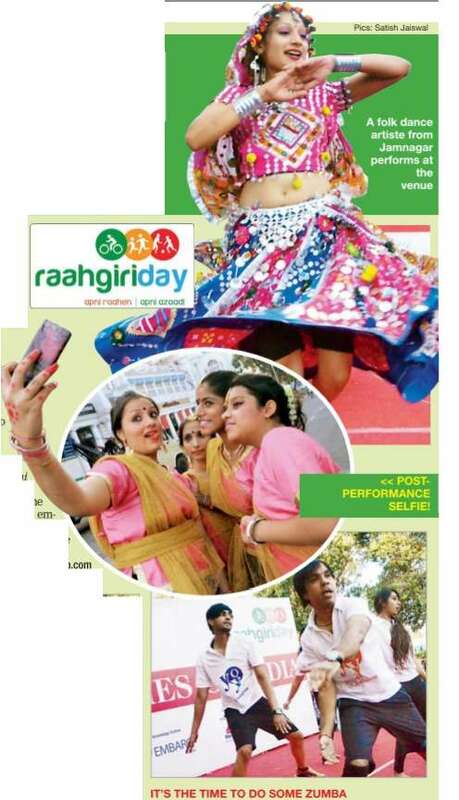 supported by the Times of India, was a dance fiesta. 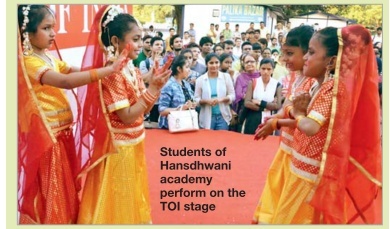 A group from Hansdhwani Institute performed a classical dance to Man Mohini Teri Ada. 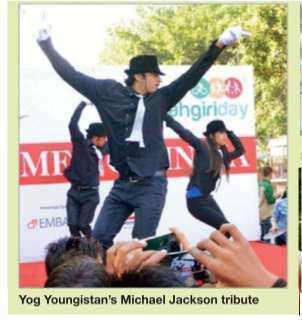 Next, members of Yog Youngistan showed off some Michael Jackson moves to the song Humma Humma from the movie Bombay, while Anew Dance Academy organized a zumba session. Theatre buffs were seen enjoying Mazhab Nahi Sikhata, a street play on the complexities of religious intolerance by Khanabadosh, as well as the dance drama by Toli theatre group on women empowerment in India. 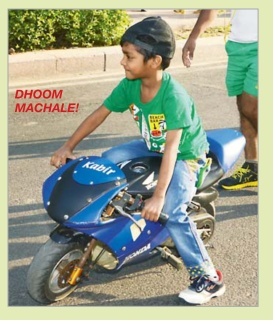 A group of 30 people from ABLE Youth in Faridabad took out a march in the inner circle to raise awareness about child adoption.